Your students may not have the background knowledge of the 1920’s to put the novel in proper context. The Roaring 20’s was a time of tremendous growth, change, fun, and excitement. 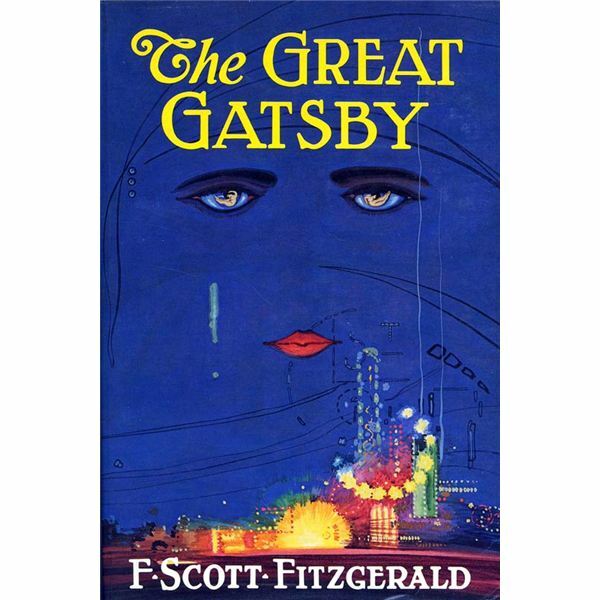 Have them do some basic research on the time period and present their findings to the class in various ways in order to help them visualize the setting and characters of “The Great Gatsby." Students will think you are “the cat’s meow" when you let them turn the “joint" into a living example of the 1920’s. RIT.4: Determine the meaning of words and phrases as they are used in a text, including figurative, connotative, and technical meanings. RIT.7: Integrate and evaluate multiple sources of information presented in different media or formats. SL.2: Integrate multiple sources of information presented in divers formats and media in order to make informed decisions and solve problems, evaluating the credibility and accuracy of each source and noting any discrepancies among the data. Students will work cooperatively to research and prepare a written and oral presentation on a specific topic. Students will learn basic researching and citation procedures. Most importantly, students will gain an understanding of the time period in order to understand the novel in historical context. The lesson can be easily differentiated by tailoring the requirements for each section based on students’ performance levels and available time. Materials Needed: Internet Access and anything else the students can gather up! I allow students to sign up for the topic of their choice from the approved list. The students who sign up for each topic will work together to create a presentation and visual aid for the class. Students should determine amongst themselves who will be responsible for each part of the group work. Also, the visual portion of the presentation should be decided upon. I have had students create simple, businesslike PowerPoint presentations, music playlists, fashion shows, and posters. The possibilities are endless! This project allows students to work cooperatively and problem-solve together. At the same time, they are able to work within their strengths and area of interest. The written portion should be a basic overview of their topic that explains the major points they find. Mini-lessons on research, evaluating sources and determining if they are credible, and MLA citations are helpful at this point. A works cited page could be a requirement of the written portion. Each group should prepare an oral presentation based on their findings. The visual portion of the presentation should be connected to the way in which they present their information.. For example, for a fashion show, students can write a script for an emcee to use. A playlist can be accompanied by liner notes written in the style of a professional recording studio. Groups may need guidance on deciding upon presentation ideas and should be required to have their ideas approved by the teacher. Students will be assessed based on the requirements that you set for them in the beginning. A rubric that includes the requirements or each section is helpful for students as they prepare the written requirement and presentation. Conventions of English, accurate depiction of their topic, and creativity can all be considered in the assessment. The presentation can be assessed on public speaking skills and effectiveness of the visual as an enhancement to the topic. Again, this lesson can be personalized and tailored to the unique needs of your group. The assessment should match the expectations given to the students in the beginning. Have fun with this assignment! When the teacher shows enthusiasm for it and creates a buzz about the upcoming presentations, students get caught up in the action. Hearing the music, seeing the fashions, and learning all about the culture of the decade prepares the students to enjoy the rich characters and themes presented in “The Great Gatsby."